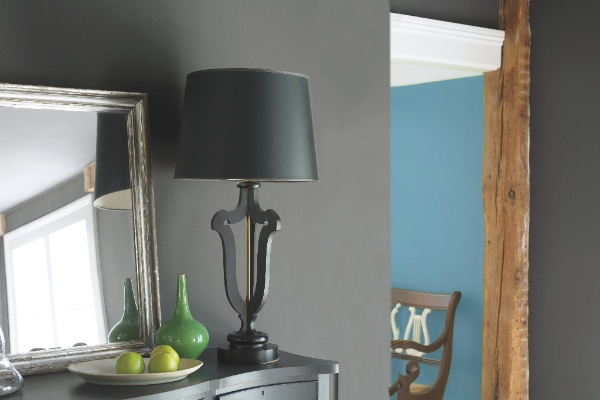 Grey is undoubtedly becoming one of the nation's favourite paint colours, as many move on from beige and opt for this sophisticated and atmospheric shade. Grey harmonises well with almost every other hue, making it a most adaptable neutral and giving good reason for its popularity. But with almost as many grey paint colours to choose from as off-whites, finding the perfect grey can be a mine-field. It can be hard to pick out subtle undertones of pink, green or blue that become all too apparent when the room is fully painted. We'll run through our top warm and cool greys, spanning the very palest to the deepest tones, and give you some useful tips about how to find the best grey for your space. 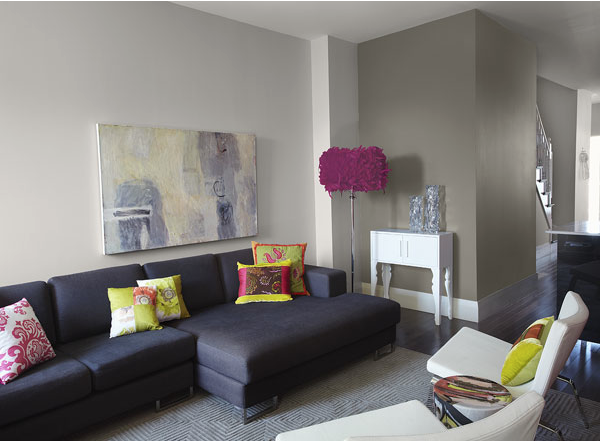 The key to working with grey successfully is determining the undertone that best suits your space. 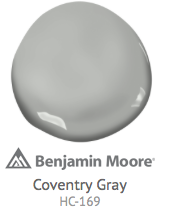 The most popular greys are not just simply gradients of black and white, instead they are comprised of other pigments that add to the complexity and appeal. 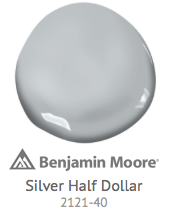 For instance, warm greys often have a slight red or yellow undertone, like Barren Plain 2111-60 as opposed to a cooler grey like Silver Half Dollar 2121-40 with it's blue undertone. These fabulous shades, sometimes referred to as "greige", are particularly popular in British homes where natural light can sometimes be limited, and sometimes greys can leave us wanting something a little warmer in our homes. 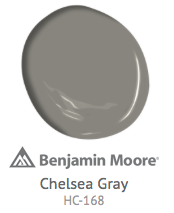 Although Benjamin Moore has hundreds of greys to choose from, Revere Pewter HC-172 has topped the charts as the most popular for several years running. Revere Pewter is a classic warm grey that helps to transition from a beige decor scheme without having to replace all the furnishings. It coordinates with both industrial and more natural greys like steel, concrete, glass, pebbles, driftwood and even cloudy skies. 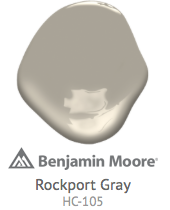 Hot on the heals of Revere Pewter, Stonington Gray is our most popular cool grey tone. It is a true grey and yet does not give a room a cold, industrial feel. 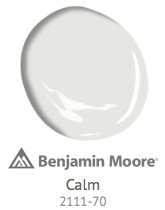 It is an eminently flexible shade that looks great against dark floors and makes white woodwork feel very crisp. 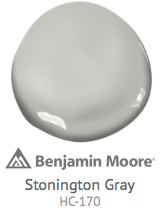 Stonington Gray works perfectly when you are looking for a shade that is firmly grey, as opposed to off-white, but not too dark and sombre. 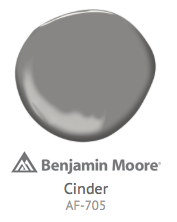 When choosing a grey paint colour, be sure to view your options at home and compare the paint chips to other furniture and textile items in the space to determine which colour compliments best. It is important to view as large an area of colour as possible, and to view the colour in all different lights. This ensures you will pick up the subtle undertones that become more apparent when the full room is painted. 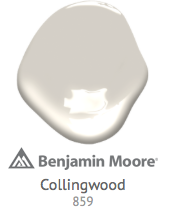 Benjamin Moore's colour cards and swatches always feature 5 cm2 swatches of colour, which UK designers are coming to recognise as being amongst most accurate swatches available. Our 475ml paint sample pots are designed to enable you to paint large areas of colour on multiple walls to get the best possible representation of what the end colour will look like in your space. Today's grey is a sophisticated, complex neutral that loves the company of all other colours and easily adapts to any style, so why not try it on? 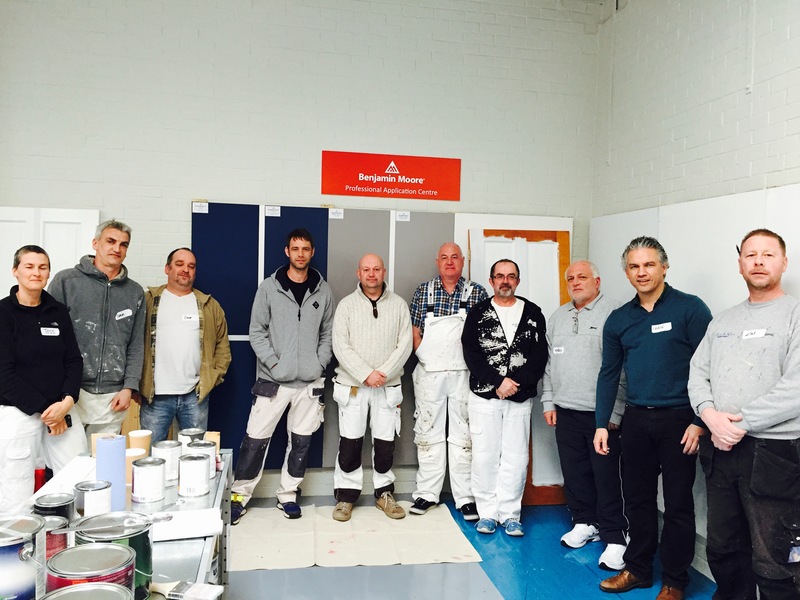 In late March, Benjamin Moore UK invited nine members of popular professional paint and decorator forum Painters Pit Stop to its warehouse and application centre to put the full range of paints through their paces. The painters tested wall paints; including Aura, Regal Select and commercial line Ultra Spec 500; trim paints, including Advance, Aura and Aura Grand Entrance; and some of the specialist paint lines like Ceiling Paint, Aura Bath and Spa and the full range of primers. 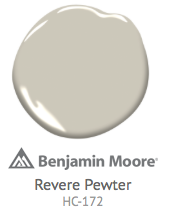 Commenting on the visit Tim Peters, coordinator of Painters Pit Stop forum said: "This is a great program for anyone who wishes to test out the Benjamin Moore paints. The Professional Application Centre has an abundance of wall area to paint as well as doors and other woodwork to test out the trim paints. You will be run through every detail you wish to know about the range. 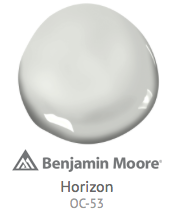 Benjamin Moore has a paint range called Aura. They have a saying for this range " "never more than two coats". I think it is fair to say that nine professional decorators were blown away with the covering power that this paint achieves in one coat. With dark colours applied over whites, whites applied over dark colours, it remained true to its word; never more than two coats. We tried and tested and, we believe. It must be mentioned, the colour range is fantastic too. Shaw Paints has an array of Benjamin Moore fan decks for the professional designers and specifiers, great for the decorator too if they wish to carry these. It seems that every possible idea has been pulled together to help you (the decorator or designer) help your client in the arduous task of choosing a colour scheme. This day was a real eye opener for those that were fortunate to come along. They will all say the ease of application was great, opacity was stupidly knockout, VOC levels wouldn"t knock anyone out as they are so low, the primers (currently) are fantastic and the range could expand which will be good for us." Following the success of the day, we are planning further testing days around the country in the future where professional painters and decorators will be invited to test all manner of Benjamin Moore products.